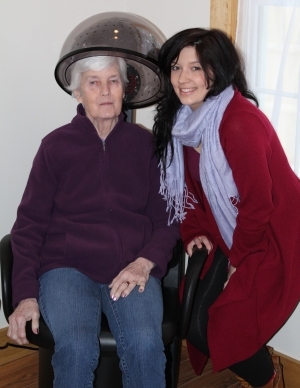 The idea to open an memory care facility came from our own personal experience with our Mom and Alzheimer’s disease. Having to helplessly watch this awful disease slowly destroy the most wonderful, compassionate, loving mother of five and grandmother of seven was heartbreaking for all of us. We fought many of the stages mom was going through by constant calls and visits to her home, moving her in and providing direct care for three years until the decision was made to move her to an memory care unit for her own safety. With Mom safely in a facility, we still felt as though we needed to do more so we opened Bedside Manor. Bedside Manor has allowed us to fight back against memory loss and create something positive out of this personal experience with our Hero. We know first hand the stress, frustration, exhaustion, anxiety and over-all sadness families and caregivers go through when caring for a family member with dementia. Our PROMISE at Bedside Manor is to treat our resident’s as family and to make every day special for them. At Bedside Manor not only are our residents and their families important to us but also our Staff. We are honored to have such caring, compassionate and knowledgeable staff as part of our team, our "family". With high staff to resident ratio's we are able to get to know each resident individually and provide the quality of care they deserve on a level that is second to none. Our promise is to care and love each and every resident as if they were a member of our family. They did not sign up, nor deserve to be stricken with this awful disease and we will do everything in our power to make each and every day special for them.